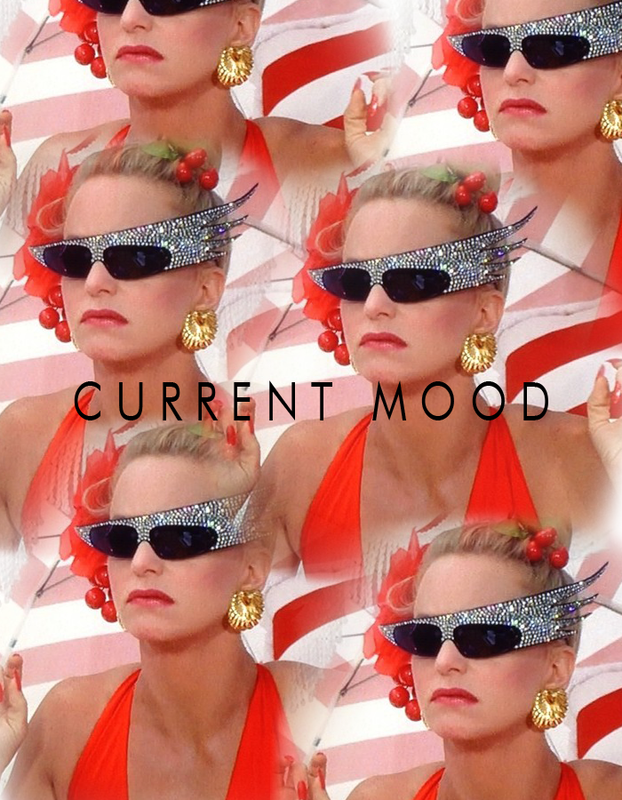 In honor of the 4th of July, and all things patriotic, bedazzled and 80s, I thought I'd celebrate one of my favorite movies: Overboard. 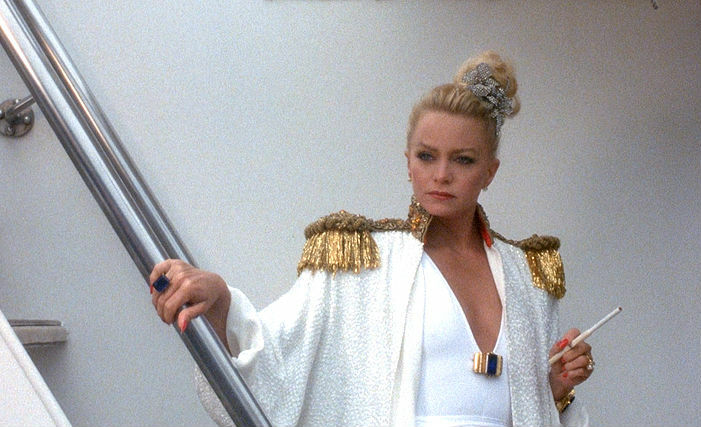 Overboard is a scintillating tale of a bitchy rich lady who falls off her yacht and is taken to a local hospital where it's discovered that she lost her memory. To her rescue comes the hillbilly repair man she treated like dirt who claims her as his wife and turns her into his redneck trophy. It's quite fun. 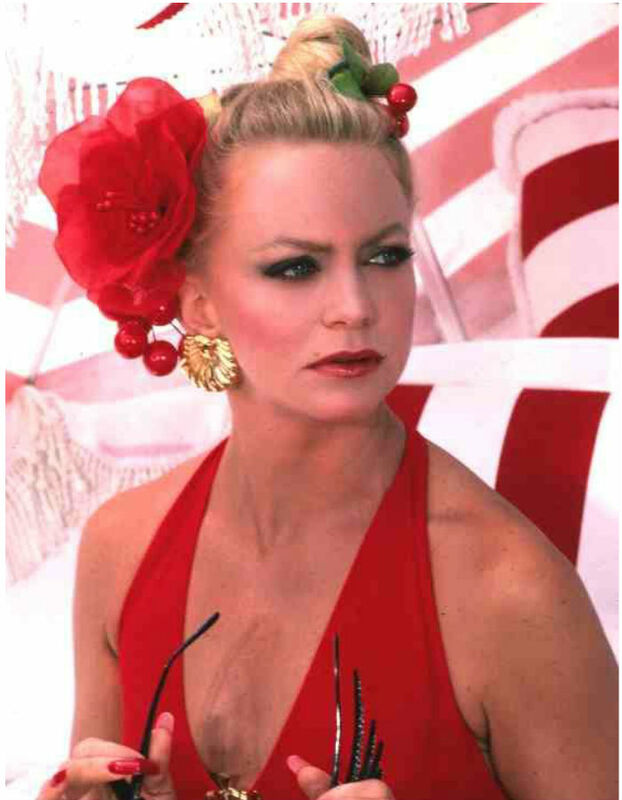 I know it's not your typical star spangled movie, but hey, Goldie Hawn wears enough red and white getups and bedazzles enough of her sunglasses for it to be! 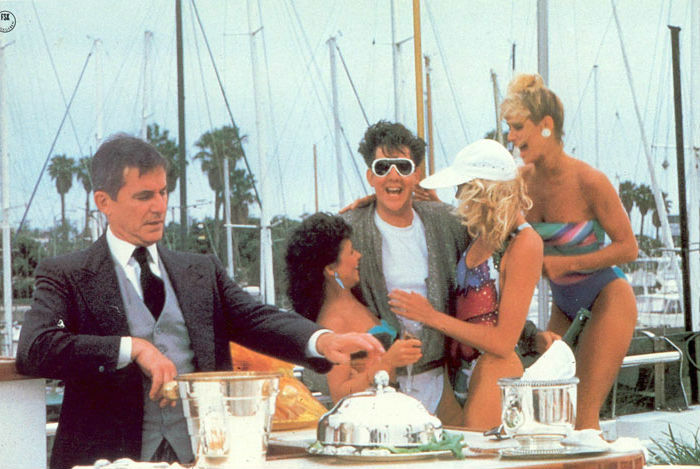 A rich white guy partying with babes on a yacht. ENORMOUS cell phones and that anklet. Sass and seriously decorated 'dos. They don't make these in the 2000s! A butler who does pedicures, plus that awesome patio set. 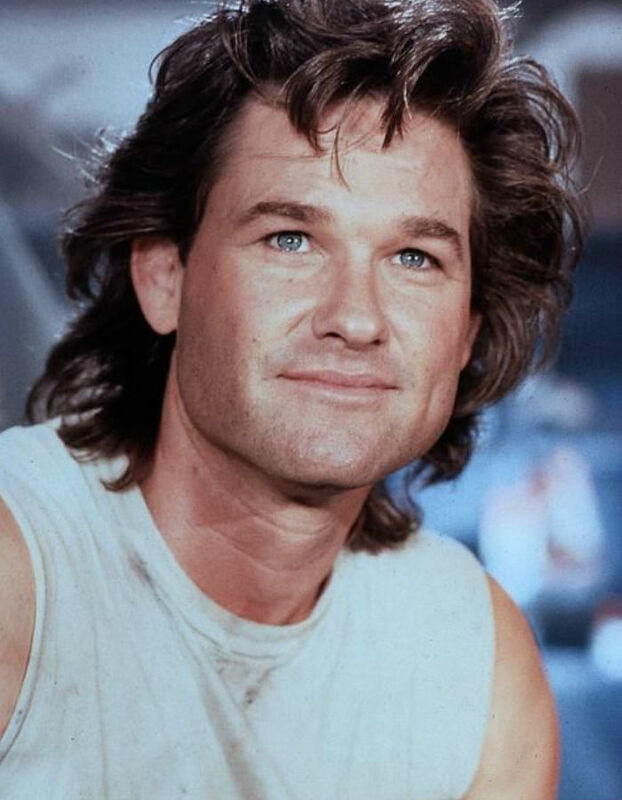 And KURT RUSSELL! Look at that hair! This loving moment and a Canadian tuxedo. 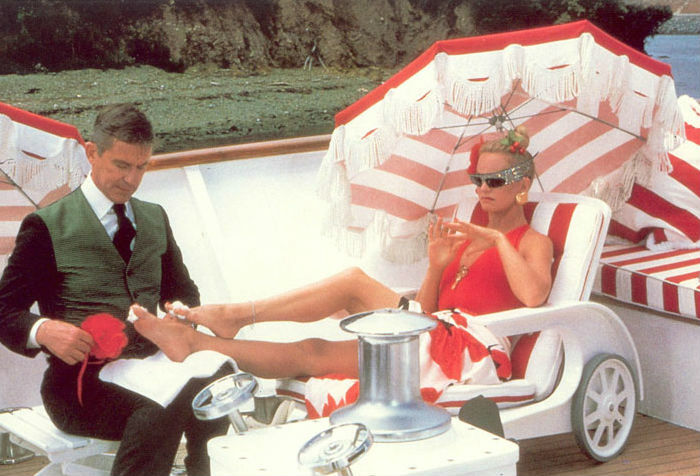 And lastly (because Google's image supply from this movie is severely limited), very casual yacht attire. So there you have it people, need more convincing? I think not. Enjoy your 4th of July, and don't fall off any boats!